Sabrblade wrote: Three completely unique fembots at the same time in a little boys' toyline. Life is good. How is that mold not unique from the Gen Arcee and Windblade molds? Hmm, I think Sabrblade probably meant unique from each other. That could work, too. And Iguanus' inner bot already looks like it could be female as it is. -Kanrabat- wrote: For a "voyager" Arcee, I think you should wait for a MP Arcee. Will that ever happen? Being as it's taken 28 years to get this one? You tell me, pal. But seriously, a Voyager and/or Masterpiece would be welcome additions for me. 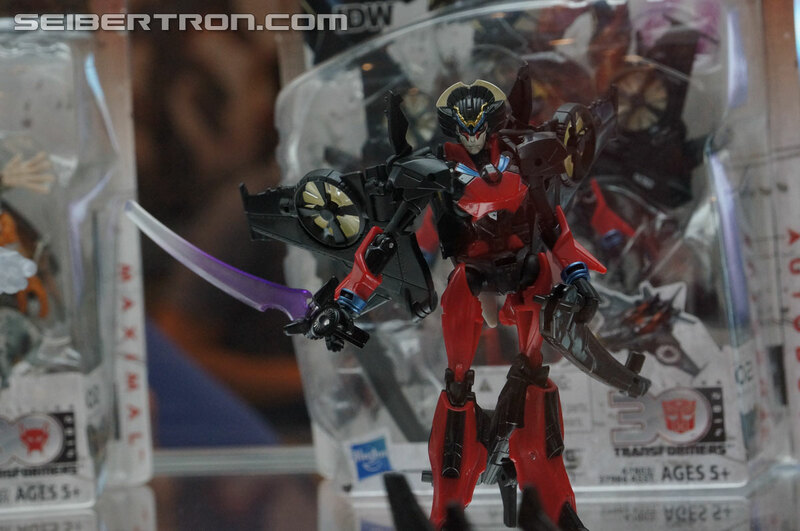 That Windblade robot mode just seems way too blocky for Windblade, and those legs look funky. I really like how she looks in the comics, and that just isn't a good representation of her if it's transformed correctly. Then again, Hasbro is horrible at transforming their own figures, so there's that hope. 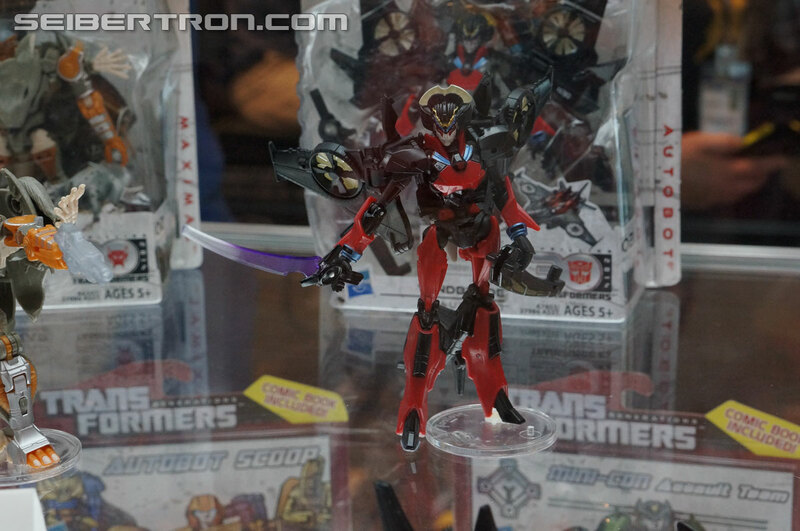 I mean, she kinda looks like BW Depthcharge with those wings, but that's just me. The vehicle mode is fine, albeit clearly transformed poorly, but I think that's the strongest mode for the figure. The Nightbeat is hilariously not the same mold as the comic depicts, but either way, I'm kinda fine with the Bumblebee mold for him. I still think that the Jazz mold might be the better of the two, but I'm fine with the Bee mold for the moment. I'd like to see how it turns out in person. Chromia is actually one of my favorite figures of this set -- it's actually a really cool representation of her character. Loving the alternate mode first and foremost, and I love the way the wheels fold in to her legs like that. The only thing I'm not really digging on is the "hood" that's behind Chromia's head. It's a little bit larger than it should be, in my opinion. Jihaxious... I'm not digging on. I know he's just a retool of Starscream, but Starscream honetsly does the mold more justice. Plus, that cockpit just doesn't really fit with the rest of the jet. I dunno. Maybe I'm just being picky. Plus, I think it needs a bit of green, for some more G1 accuracy. Plus to make it not practically monochrome. Finally, a G1-style Arcee figure! I've been waiting and waiting on this one, and she looks great! I'd complain about how her hips are... Really far apart, but if I recall correctly, that's how Arcee has always been. But that vehicle mode is glorious for Arcee -- really, really liking the way that looks. 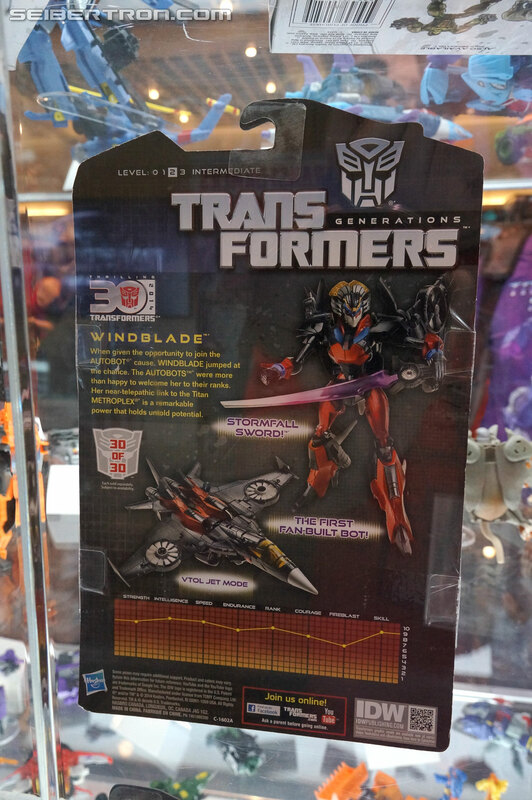 #Sideways# wrote: That Windblade robot mode just seems way too blocky for Windblade, and those legs look funky. I really like how she looks in the comics, and that just isn't a good representation of her if it's transformed correctly. Then again, Hasbro is horrible at transforming their own figures, so there's that hope. I mean, she kinda looks like BW Depthcharge with those wings, but that's just me. I'm excited for all of these. Even the weird 11th hour retools. Those are the Transformers toys which are obscure, but cool. Seriously though, these toys look IMO like the end of a line. I don't think this is the last wave, but judging by what I'm seeing, it's looking close. welcometothedarksyde wrote: I'm excited for all of these. Even the weird 11th hour retools. Those are the Transformers toys which are obscure, but cool. Seriously though, these toys look IMO like the end of a line. I don't think this is the last wave, but judging by what I'm seeing, it's looking close. Well, most of the "Thrilling 30 exclusives" we were supposed to get have already been released at retail, and that was the main theme of the new version of Generations. Hasbro's probably planning a new subline for the movie toys, and that may bring another redesign for Generations. Either that, or a conglomerated mess of continuities like the 2010 line. 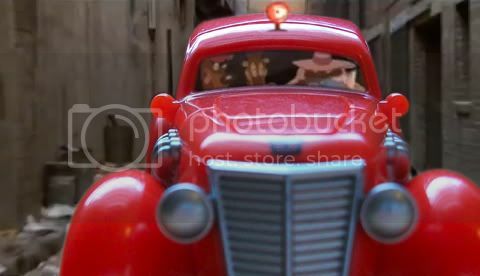 - The Movie lines will last only until the end of the year. Plus, the theme seems to be Combiner and Superion has been teased. Am I the only person who actually likes the look of the new Voyager Optimus? Metro Prime wrote: Am I the only person who actually likes the look of the new Voyager Optimus? Maybe, I personally find him too broad and his head too small. Thats the same way I felt about the voyager beast hunter prime so take my opinion with a grain of salt. 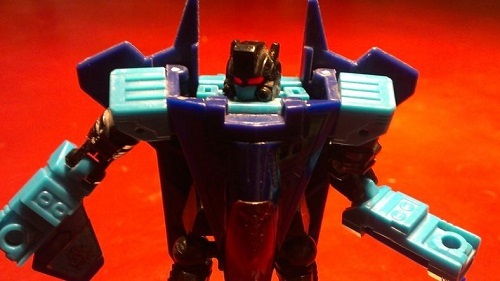 What has intrigued me just now was the mention of more toys in the upcoming RID line. Which ones? Are we talking about the same line that the Prime toys came from? Oh wait, RID IS the sequel to Prime. I read that post wrong. Oh well. Blame Hasbro on this one. "Robots in Disguise" is part of the Prime series, both as part of Prime itself and as a sequel. It's enough to give you a headache if you think about it too much. And there's the current IDW ongoing series of the same name. I can't wait to get the girls and make them my F.A.T. (Fembot Assault Team)! I'm getting them all, but the girls are a must buy! I don't mind it, especially since all the pics we've seen have been altered and we don't know 100% what it will look like. That's the way nature made most (not all) women or in this case a fembot that represents a non male robot.... I think the figure looks great! Motto: "Smashing Optimus Prime toys is the freedom of all sentient beings." Too bad Brainstorm's tech spec meter is just a decal. And the IDW fandom rejoiced. Hasbro should really look into adding more personality to their figures. Like having Grimlock come with a serving trey and an apron? While funny, doesn't work. Having Brainstorm come with a briefcase? That would have been funny and awesome! Not saying that this isn't awesome, it is! I'm surprised they did the headmaster thing, makes it so much sweeter. For some reason I've always dug the whole idea of headmasters. I dunno why. 4,553 pages were recently viewed by 776 unique visitors. This page was viewed 1 times on Sunday, April 21st 2019 3:12am CDT. © 2019 Seibertron, Inc. DBA Seibertron.com. All Rights Reserved. Established June 2000. Seibertron.com is owned by Ryan Yzquierdo.